Radio Free London was the first regular land based pirate radio station in Britain. The story of how it all started can be read on our In breach of the Law page. With the huge success of the Radio Free London broadcast on the day of the Free Radio Association rally in August 1968, it was decided to commence regular weekly broadcasts. The first of these took place on September 22nd 1968, and featured the former offshore DJ Jason Woolfe. Transmitter power was usually around 60w on 255m, and the equipment was provided by Mike Bass and Pete Chicago, both of whom would go on to become legends in the history of Radio Caroline. At first these broadcasts received a great deal of attention from the authorities, but the station would always return the following week. Unfortunately differences of opinion within the station led to a split around October when some members of the station set up Radio Free London South in south London. At the same time the original RFL became RFL North, though in reality it continued broadcasting from near to central London. The two stations decided to broadcast on the same channel, with RFL South coming on after RFL North closed down. Both stations recorded their programmes in the same studio in the top flat at 3 Mornington Avenue, West Kensington where Robin Adcroft now lived. There was a friendly rivalry between the two stations, and they both competed for advertising. This usually came from record shops, who also supplied the stations with records. At one point an RFL programme was recorded at Twickenham Film Studio's (where Robin Adcroft worked) so that advantage could be taken of all the effects units. The management found out and Robin was reprimanded as were others at the studio. Eventually the staff of RFL North became involved in other things, and the station ceased to broadcast. RFL South continued, but the Post Office started to raid the station regularly. In spite of several court cases, the fines were usually only £15 or so but the confiscation of equipment was more of a problem. 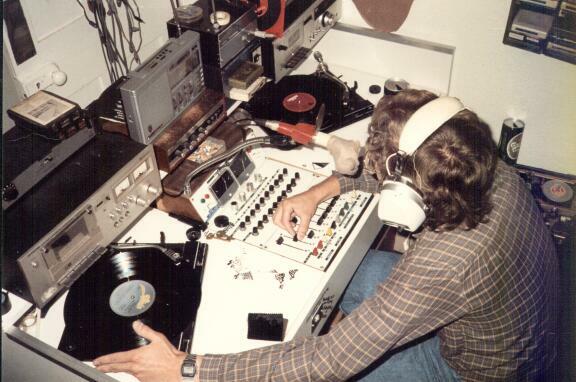 At the end of 1969 the station was still going strong, but early in 1970 some of the staff left to join a new offshore pirate station Radio Nordzee International which had started broadcasting in English from a ship anchored off the Dutch coast. With the loss of many important people, broadcasts from RFL became sporadic, and finally ended. The RFL name was to live on. The first group to resurrect the name were the Radio Jackie organisation, who made a special broadcast on October 6th 1970. On this day a new BBC local radio station opened in London on 95.3Mhz. 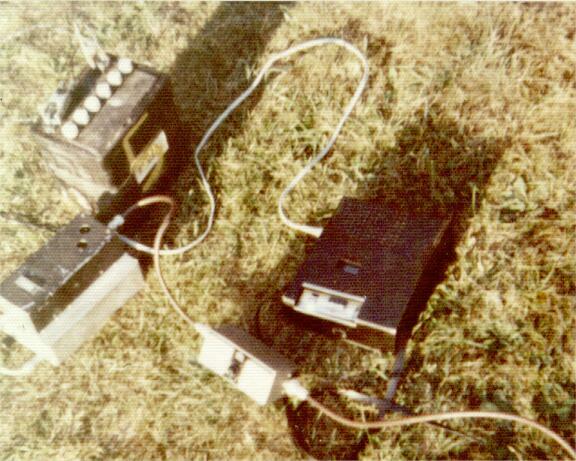 The Jackie crew had got hold of a VHF transmitter, and broadcast as Radio Free London on 94.8Mhz. Many listeners who were intending to listen to the new BBC station found RFL instead. The broadcast caused quite a stir, and received a lot of press coverage. On 17th March 1973 a new incarnation of RFL hit the airwaves. The station included the DJs Mark Ashton and Kenny Myers and broadcast on 94.8Mhz every Saturday night from 8pm to midnight. Shortly after coming on air the new RFL had to change frequency to 92.8; this was because of the move of BBC Radio London to 94.9 MHz allowing room for the new ILR stations Capital and LBC. Initially RFL wasn't troubled by the Post Office, though the station was raided by the police in November following complaints of suspicious behaviour by local residents. Four people found themselves in court and were fined. The broadcasts continued into 1974 and although Post Office activity increased, the crew usually managed to escape with the transmitter, however in November four members of staff were caught in a raid at Hayes Common, and the station was put off the air. No more was heard until February 1978, when RFL suddenly returned. With many of the same team as in 73/74, the station was to take advantage of a period of inactivity by the authorities, and broadcast every Sunday on 92 MHz, with the broadcasts eventually stretching from Sunday morning to the early hours of Monday morning. More and more people joined RFL along with the regulars, Mark Ashton, Steve Ego, Kenny Myers, and Andy Allman. The output was mostly rock, and the station became extremely popular, though coverage in the west of London was sometimes poor from the 20w transmitter. Initially the transmission sites were on the hills around SE London, however the station soon moved to high rise tower blocks where the transmitters could be powered from the mains (albeit illegally). Programmes were pre-recorded and played back at 1 7/8 ips from 10" reels on a Truvox reel to reel machine. This gave the station a rather distinctive audio quality! Eventually the raids started again in October 1981, and RFL was often hit. By 1983 the raids were taking their toll, and the station went silent again. RFL was back in 1987, and continued with irregular bursts of activity until 1995, by which time the erratic broadcasts, and competition from the growing number of legal commercial stations meant that listener numbers had dwindled, and there was very little response to the broadcasts. It was then decided to move to SW where listeners were more likely to seek out illicit stations, and the vastly increased coverage meant that RFL would again receive an excellent response to it's programmes. In 1997 RFL had two transmitters permanently installed in woodland close to Junction 4 of London's orbital motorway the M25. Unfortunately someone discovered the equipment and called the police. Not knowing what the equipment was the police, fearing that it was a terrorist bomb, closed the M25 for over two hours whilst they investigated it. RFL continued, undaunted, and still occasionally broadcasts on SW to this day. Many thanks to Kenny Myers who kindly provided the photographs on this page. 22MB 46:51 The first official broadcast of RFL from the day of the famous Free Radio Association rally on August 17th 1968. 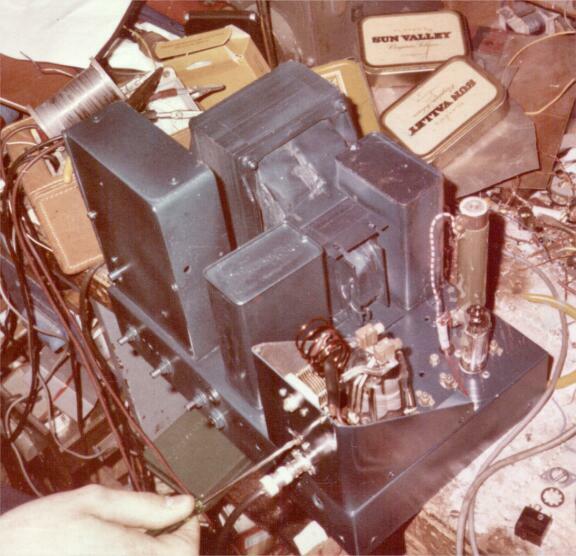 Introduced by the late Mike Bass, one of RFL's original transmitter engineers. Jason Woolfe on Boxing Day 1968 assisted by Bud Balloo, Stephen Warwick, Patacake Warwick and Robin Adcroft. Taken from the original 1/4" studio tape (the drop-out is a result of the age of this recording).